The smell of doughnuts and Pike Place Roast filled the air at The Athenian Print’s open mic. night, “Word of Mouth” on Tuesday March 24. Mount Saint Mary’s students and friends broke their timidity barriers to express themselves through short stories, poems, and songs. The guests enjoyed refreshments at the fully stocked candy bar and a colorful mix of doughnuts to complimented with a hot of cup of coffee from Starbucks. 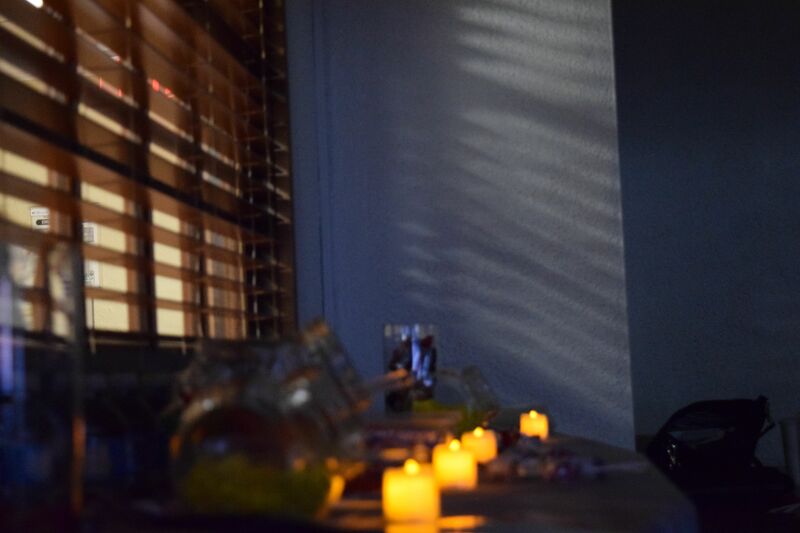 Roses and candles placed around the room helped set a warm and relaxing mood to begin the wave of performers. Jessica Flores sharing her original work on self-empowerment. “Word of Mouth” held place in an intimate venue in the university’s “Visitor’s Dining Room” that overlooked the beautiful sunset and Santa Monica beach. The event began with a musical performance by Kimberly Quitzon, Secretary of The Athenian Print, who gave everyone chills for her beautiful rendition of “I get out” by Lauryn Hill. 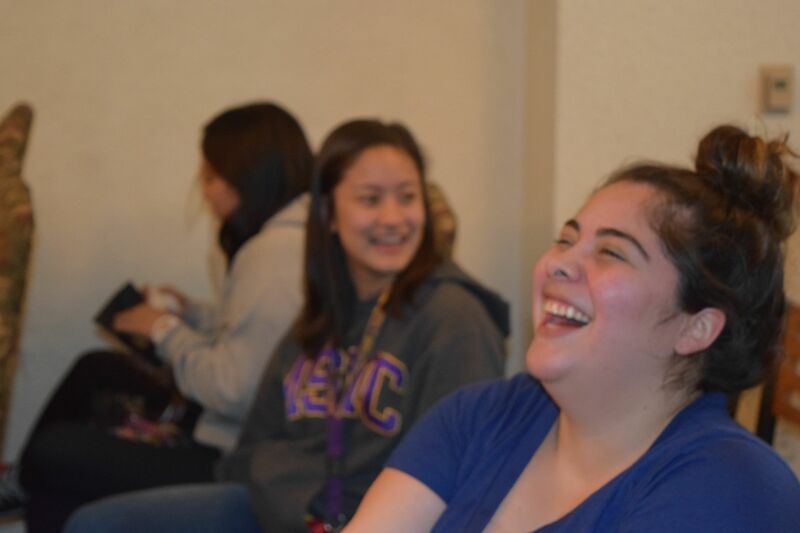 Yearbook staff and Journalism student, Jessica Flores, captured yearbook-worthy moments and shared two original poems titled, “Metamorphosis” and “Excuse my language.” Both poems shined light on the often misinterpreted self-empowerment by society. Several continued the night by sharing more original poems, favorite clips, and inspiring quotes and snapped their fingers in appreciation. Guests enjoy a performer’s humoristic ending to a poem. The Athenian Print would like to thank every guest who came to indulge in not only sweets, but in the power of expression. If you would like to take part in a similar event, make sure to attend the City of Angels Cafe on Wednesday April 8 at 6:30p.m. For more information, contact Karen Gonzalez and stay tuned for more upcoming “Word of Mouth” events.